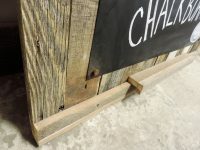 Here is an even huge-ER barnwood chalkboard than our standard “huge” chalkboard! 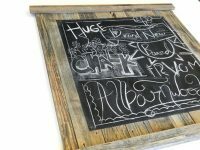 The chalkboard itself measures 20″ x 30″ and the overall dimensions are approximately 31″ x 39″. 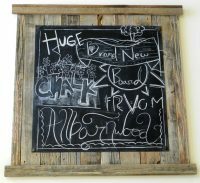 This chalkboard is made up of a barnwood backboard with a rustic western edge on top and bottom. 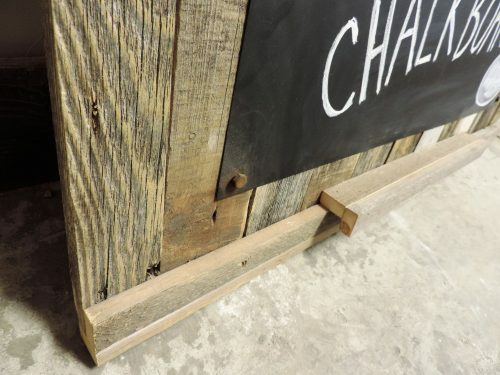 The chalkboard itself is metal and magnetic! 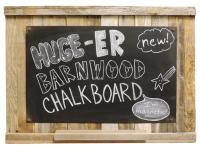 Includes detachable chalk and eraser holder.